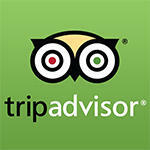 TripAdvisor launched in 2000 and has since grown to become the world’s most used travel website. The company’s original business plan was to drive leads to hotel websites. Today, TripAdvisor claims approximately 400 million monthly website visitors globally and lists 7 million accommodations, restaurants and attractions. TripAdvisor is the most visited pre-transaction travel site in the world. It appears on the first page of organic search results for 99% of unbranded search terms for hotels (hotels + destination). In 2017 TripAdvisor reached six out of ten travelers in 12 major markets around the world and influenced 50% of hotel reservations globally. In more recent times, TripAdvisor has aggressively built and added non-hotel related content to its platform. In 2017, the company’s non-hotel segment (including attractions, vacation rentals and restaurants) grew 24% to $360 million in revenue. Since 2015, TripAdvisor has purchased over a dozen travel experience companies including FlipKey, The Fork, Cruise Critic and Viator. In 2016, the company rebranded their attractions listings calling them TripAdvisor Experiences in keeping with trends on Airbnb and Booking.com. Experiences offered range from cooking classes and skip-the-line access to famous attractions to multi-day excursions. The number of experiences on offer has doubled to more than 100,000 in the last two years. So, what does this matter to you? Reviews help your business. These results demonstrate how reviews can impact sales for all hospitality businesses. If you’re not collecting fresh feedback, and sharing it with travelers, you may be losing business to competitors who do. Consistently collecting reviews yields a more accurate assessment of your property – which is important to both you and potential guests. With more reviews, the impact of extreme feedback can be limited. Plus, using negative reviews to improve can help ensure future ratings continue to rise. “We might think we’re doing a brilliant job – but there’s no point in us thinking we’re doing a brilliant job if guests don’t think we are – so we really value that feedback…It gives us a way to improve the service and the quality of product that we offer…In the last three or four years, in particular, we’ve really focused more on it. We can see the level of repeat bookings we’re getting has increased as well." In fact, reviews are a free way to assess how your business is performing. They highlight what’s going well and where improvements can be made. Trends in reviews also reveal insights into guest expectations and how to better meet them. So, how can your property collect more reviews? TripAdvisor has lots of free tools to help. Use Review Express to easily send optimized review request emails. It’s even better than using your own email account because it delivers an automatic reminder and a detailed dashboard that tracks the performance of each campaign. For even more tools, log in to the Management Center and visit the "Free Tools" tab at the top of the page. Here you will find widgets for your website and promotional tools like TripAdvisor stickers and "write a review" business cards. Click now to get your business on TripAdvisor. Remember, with the number of seasonal guests currently in market, now is the perfect time to optimize this opportunity. Once you list your business, please email the Pensacola staff so that we can add it to your listing and begin promoting reviews!